This is a sponsored post in collaboration with Mirum Shopper, however all opinions are my own. The Knorr takeover continues! I hope that you have been enjoying this month's posts about Knorr and how you can use it to give that extra touch of authentic sabor to many of your meals. Today I want to share another summer favorite that we enjoy pretty often with the rotisserie chicken leftovers that we purchase at Walmart. Do you ever have a leftover piece of rotisserie chicken in your fridge that no one ever wants to eat? 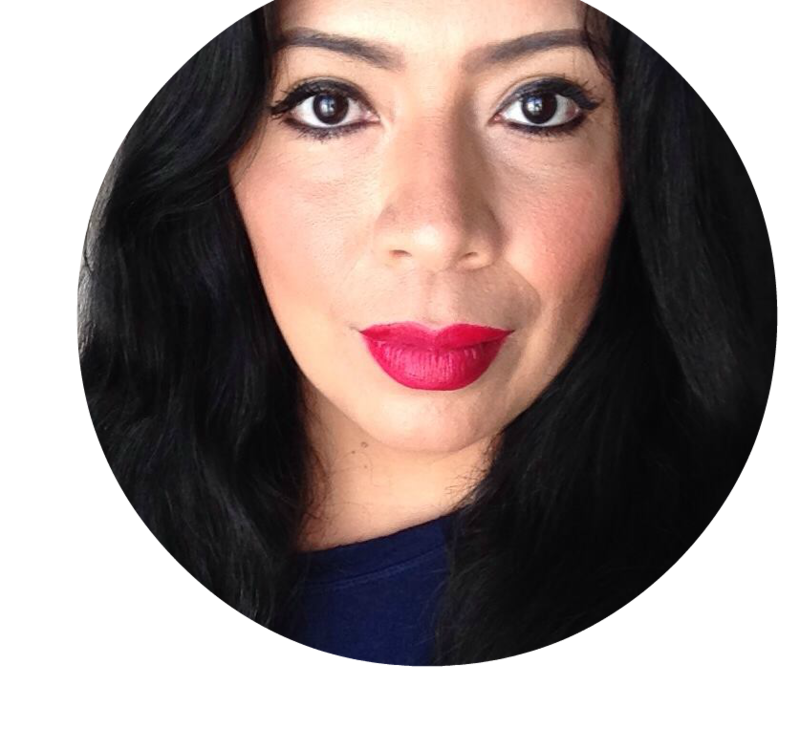 We sure do and this is one of those ways that you can take some Knorr and a few other ingredients to liven up that chicken and make everyone a dish that they will love, tostadas de pollo y chipotle. 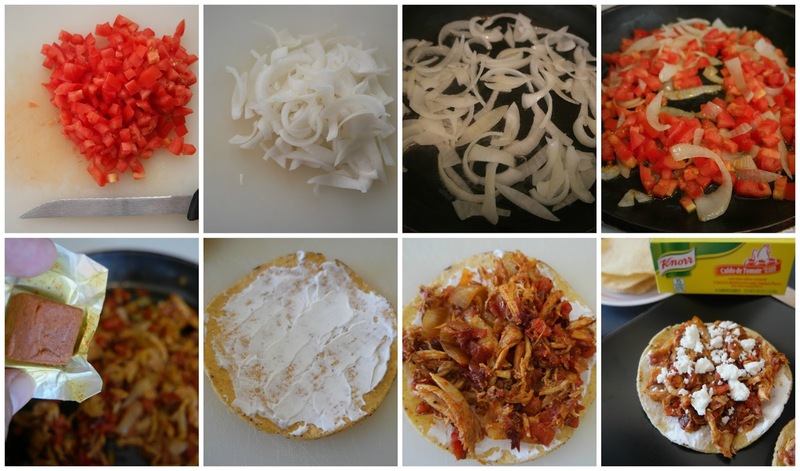 These tostadas are so super delicious that you're going to have to make extras! Dice tomato and cut onions while putting oil to heat in a large sauce pan. Let oil heat for about two minutes then add onion, garlic and tomato and sauté for a few minutes. Add chicken and add 1 cube Knorr Caldo de Tomate Bouillon, 3 chipotle peppers and cook for about 15 minutes. Serve hot on tostadas with sour cream and topped with queso fresco. This recipe is the epitome of simple. All you're doing is taking leftover flavorless chicken and cooking it up with some good old Mexican flavors to kick it up a notch. Plus you're going to be topping with queso fresco which is a win any day of the week at my house. 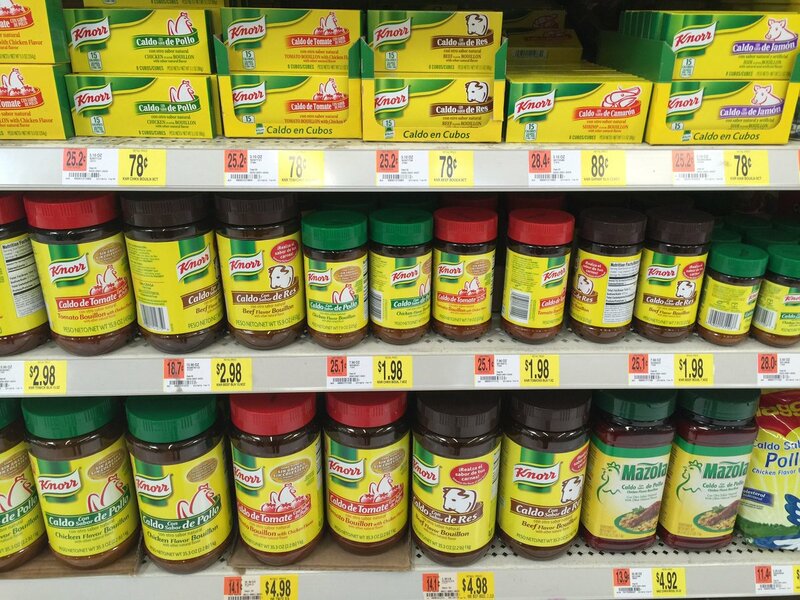 Find Knorr Caldo de Tomate Bouillon (Tomato Bouillon w/ Chicken Flavor) and Knorr Caldo de Res Bouillon at your local Walmart. These little boxes are secret weapons that you can have in your pantry, ready to tackle almost any dish and give it some traditional flavor, in our case from Mexico. We have about 2 months left of summer and that means a lot more easy cooking in the kitchen with recipes that can be prepared as easily as today's. I like to spend my summer saboreando comida sabrosa con mi familia y no cocinando. 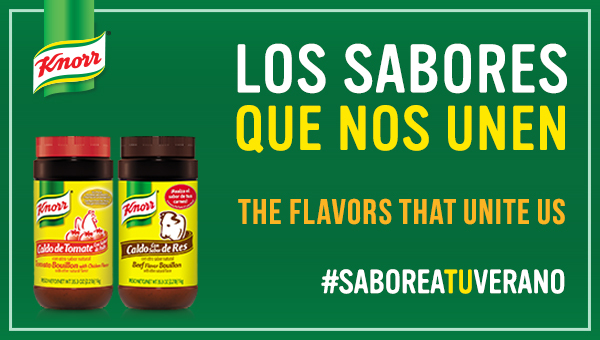 What about you, how do you #SaboreaTuVerano?